From my experience, people either love or hate pudding. There are few in-betweeners. I’m of the first mind, my husband is of the second. Until I made him try my Salted Caramel Pudding recipe. Knowing that he loves the combination of salty and sweet, I knew this could be up his alley. One of my favourite things about making a pudding using Almond Breeze’s almond beverage, is that the end result is lighter and less rich than if you had used milk, yet just as creamy. Along with that lovely texture, the buttery caramel flavour merging with saltiness, found in today’s recipe, is a taste that not many can resist. 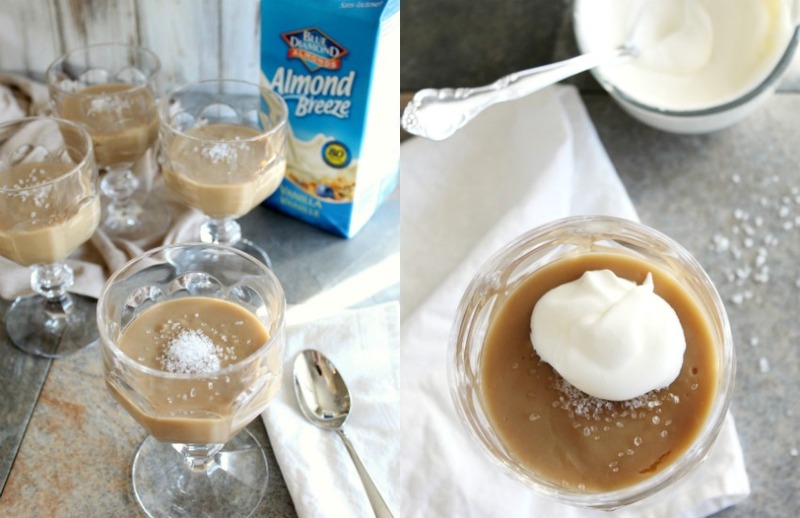 Have you tried Almond Breeze’s refrigerate products? They can be found in the refrigerated section of their grocery store. The beverages are calcium-enriched and offer a fresh, delicious, lactose-free milk alternative with no cholesterol. First off, this recipe can be dairy-free. You can use either margarine or butter to create the caramel. And as for a whipped topping, it’s completely optional. If you do opt for a little extra creaminess, real whipped cream or coconut whip will surely hit the spot. One of the things that you’ll appreciate when making this dessert pudding is just how simple and easy it is. To begin, you will make the caramel from brown sugar, vanilla almond beverage and margarine or butter. It takes less than 8 minutes to get it to a beautiful golden brown colour with a sticky consistency. After, you add in a mixture of corn starch and more vanilla almond beverage, continuously stir on low. Within a few minutes, the ingredients will thicken and a heavenly-scented pudding appears before your eyes. You can allow it to cool for 10-20 minutes and serve warm, or you can refrigerate and allow the pudding to congeal further and serve it cold. Either way you choose to enjoy it, it’s a wonderful treat. 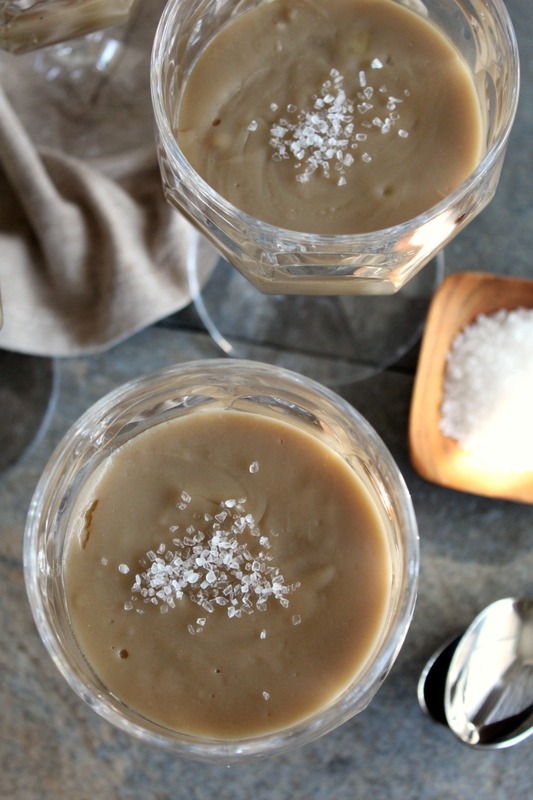 Light, creamy, melt in your mouth caramel pudding with the delicious contrast of salty and sweet – what an indulgence! In a medium saucepan over high heat, add dark brown sugar, 2/3 cup of vanilla almond beverage, butter or margarine, and pure maple syrup. Bring to a boil, reduce heat to low and simmer for 6-8 minutes, stirring every 2 minutes. In a small bowl, mix together 1/2 cup of vanilla almond beverage with cornstarch. Whisk until the majority of the lumps are gone. Pour into the pudding mixture, mixing well. Bring the mixture to a boil once more, then reduce heat and simmer for 5 minutes. At this point, you should stir continuously while the pudding thickens. Once the pudding thickens up, remove from heat, allow to cool 5-10 minutes and then add pure vanilla extract. You can either serve warm or refrigerate for later. Another option is to separate the pudding is small serving bowls and refrigerating them (make sure to cover with plastic wrap). When serving, you can add a sprinkle of coarse sea salt and a dollop of whipped topping of your choice. I can’t wait to make a dark chocolate pudding next. Hope you enjoy this scrumptious dessert! You can learn more about Almond Breeze refrigerated beverages here and connect with Almond Breeze on social media: Facebook, Twitter, Instagram for more delectable recipes. This post has been sponsored by Almond Breeze & The Best of this Life has been compensated. All opinions are personal. I don’t know if I’ve ever made my own pudding, but this is a must do! Wonderfully appetizing photography, as always. Major pudding craving here!! I was a pudding hater until about 1 year ago. Now I love it and cannot get enough. This one sounds fabulous! I love anything salted caramel and this looks fantastic. Iw ill have to pin it and try soon! That looks so darn good and sounds pretty easy to eat. Rob and the kids would love this for dessert. Thanks for sharing this awesome recipe!!! Oh my gosh does that ever sound incredibly delicious! I’ll take two dishes please! 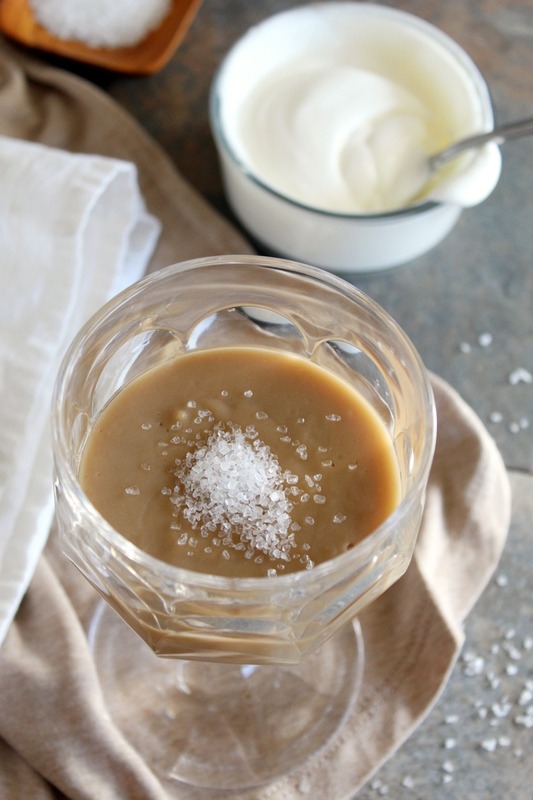 I am so in love with anything that is salted caramel! It is amazing! I agree with a previous poster that who ever came up with this is awesome!!! 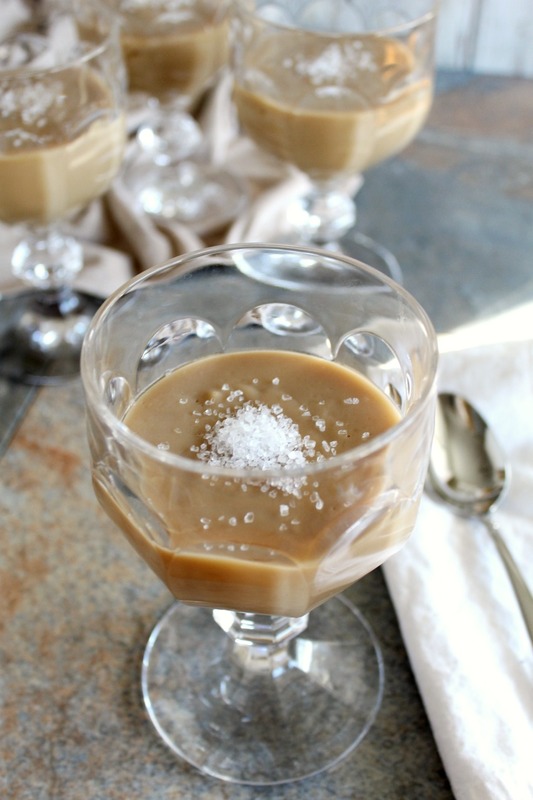 How I’m craving something with salted caramel! Hmmm….wonder what’s in the pantry! This looks like the most perfect sweet and salty delicious dessert ever! I want to eat the picture! I must try this!! These are some great flavor combinations. I love desserts like this one that are sweet and salty at the same time. This looks so good! !a must try for sure. 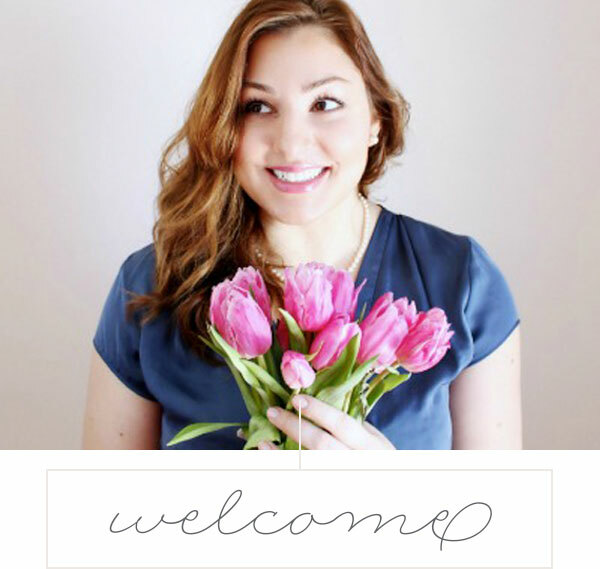 Thanks for sharing with us Emily! This is an interesting way to bring out new flavors in a classic desert. Just make sure you cook out the “starch” ! !